Whether it is extended business travel, a short-term business assignment of 6 months to a year, there will be a need to look for accommodation that will meet your needs over that time period. 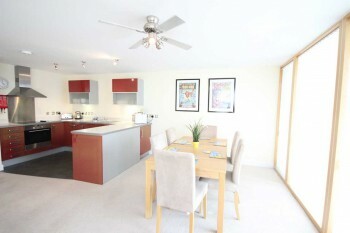 Short term furnished Milton Keynes apartments are ideal for those on business travel assignments. Hotel accommodation is not the only option available for short to long-term business assignments or as a temporary home in between house moves. A serviced apartments in Milton Keynes are defined by their spaciousness, stylish furnishings, central location and self-catering facilities. They are a home-from-home for professionals or families needing accommodation for a few weeks to months and not wanting to incur the costs of shipping furniture to a temporary location or being stuck in the confined space of a hotel room. 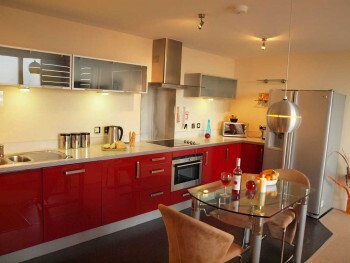 You can let any short-term furnished Milton Keynes apartment from studio through to executive or deluxe style three bedroom apartments many of which also have a balcony with patio furniture. Flexibility – if you need to extend your stay weekly or monthly, there is that option available unlike renting a home where a contract is drawn-up for fixed tenancy. Privacy – you have your own front door from where you can come and go as you please and a spacious dwelling in which to relax at the end of a busy day. Utility bills – these are taken care of included in the advertised booking rates per apartment type. All inclusive – All our short term furnished apartments are furnished to a high standard with appliances and household items such as towels, linen, crockery, washer and other everyday electrical goods supplied. All you need in addition to your suitcase of clothing is to purchase consumables. Apartments are located near a big Sainsbury Supermarket making grocery shopping an achievable task. A weekly maid service will ensure you have clean towels and linen at no additional charge. Relocation – if your business assignment is extended into a permanent move, Cotels can assist by providing a short-term furnished apartment while you look for a more permanent home and until your own furniture is shipped to your new location. Search our website for a short-term furnished Milton Keynes apartment or phone us on 01908 802853 and we’ll help you to find the apartment that will best meet your needs.